0:00 to 8:36: Episode 9 kicks off as always with a discussion of the night’s cocktails—Dave’s sipping Red Bull and Vodkas as he recovers from Vegas (and shares an interesting story of his first-ever Red Bull experience) and Jon’s nursing a sore throat with a hot toddy—and some theme music for test week: Europe’s The Final Countdown. There’s also a quick, happy sidebar on the state of Dave and Jon’s March Madness brackets, with the two of them currently first and second in the office pool, respectively. 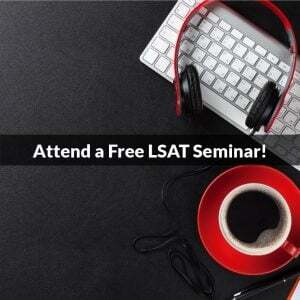 13:38 to 48:02: This lengthy portion of the episode begins the main theme: how to best prepare during test week. Specifically, the week is broken down chronologically, with this segment addressing common questions and concerns, as well as best practices, for the final 2-3 study days right up until the day before your exam. Dave and Jon even pose several tricky student questions to one another to get answers to some of the week’s most daunting decisions. A big portion of the final week, particularly the last 48 hours, centers on establishing the ideal mentality that all great test takers embrace, so there’s also talk about mindset and attitude. For a look at some of our favorite videos and articles on mentality, check out this blog post that Dave put together! 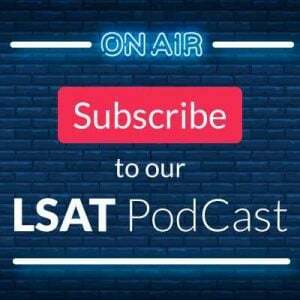 48:03 to 1:08:49: And then we arrive at LSAT-eve, noting exactly what to do, and what to absolutely avoid, the day before your scheduled test. A key factor in test success is not overdoing it the day before, so Jon and Dave explain how much is too much, and Jon outlines his step-by-step routine for day-before prep. The guys also run down the list of items you’ll need to take with you to the test, items that are prohibited, and other things you should do in the 24 hours pre-test to ensure your test day goes as smoothly as possible. There are also some tips on what to do if you find yourself struggling to fall asleep that night, including the risks of self-medicating and the restful benefits of meditation (which Jon claims he can sit still long enough to practice). 1:08:50 to 1:29:39: Which brings us to the morning of the exam. In additional to some general guidelines to follow concerning your routine and game plan, Jon and Dave also discuss what to expect at the test center, how to engage (or not) with your fellow test takers, and how to foster the type of self-confidence that will allow you to overcome any struggles. They also talk about a morning-of warm up—including pros and cons—with Jon giving a detailed look at his personal warm up process and what makes it so beneficial. 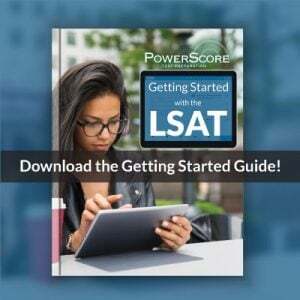 1:29:40 to 1:37:56: The truth is that everyone, no matter how well prepared or how experienced, feels anxious before and during the LSAT. The trick is channeling that nervous energy into something useful, making it a productive attribute rather than a distracting hindrance. 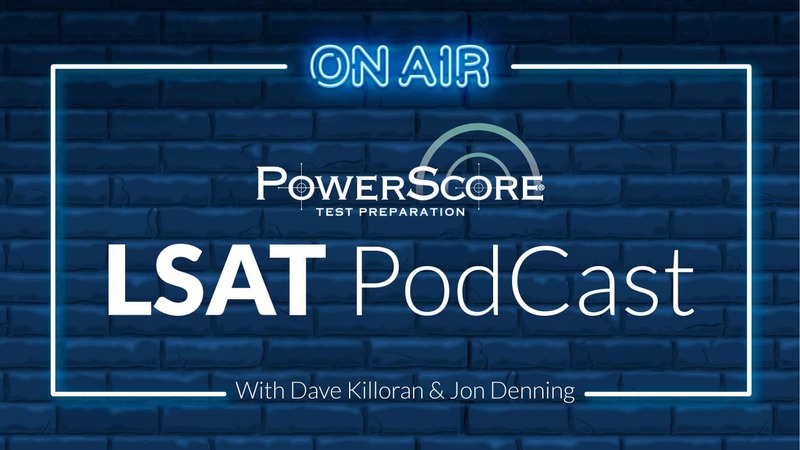 So Dave and Jon give practical, actionable advice on how to recognize and combat test anxiety while at your test center, allowing you to succeed even when you’re uneasy. 1:37:57 to 1:45:11: Finally, just because the test is over doesn’t mean you can’t still make informed choices that positively impact your outcomes (or at least your peace of mind). So the discussion of test week behavior concludes with some pointers on what to do once the test is finished. 1:45:12 to 1:46:31: Outro. Be sure to subscribe, leave us a rating, and send us any questions or topics you’d like us to cover in a future episode: lsatpodcast@powerscore.com. We appreciate you listening!